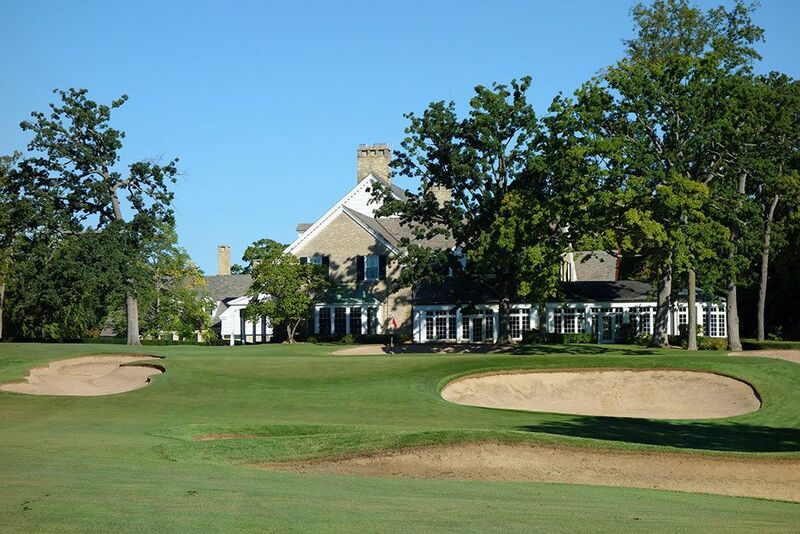 What to Expect: Milwaukee Country Club is a throwback to yesteryear when simpler times existed. 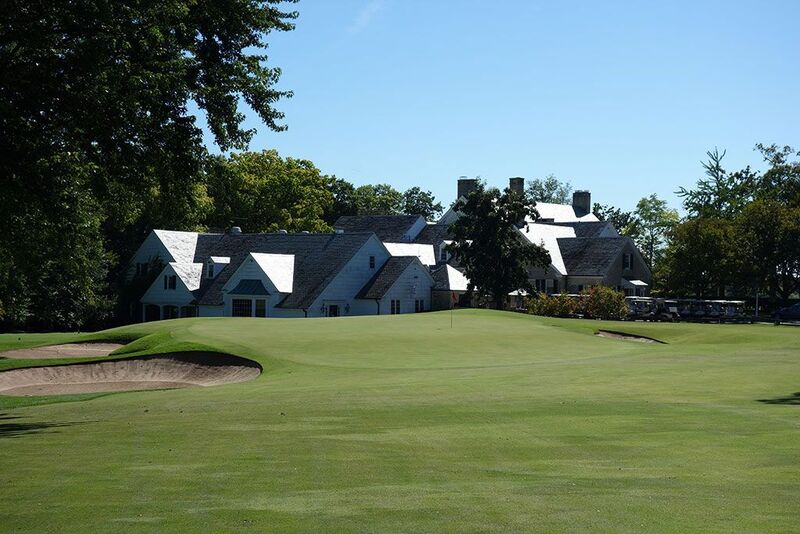 The clubhouse features a classic, timeless facade while the old school look and features of the pro shop are simply things you wouldn't find today. The head professional and his assistants' names are carved into wood signs that hang outside of the quaint pro shop which also boasts a beautiful downhill vantage point of the #1 fairway. When I transitioned past the wood door separating the pro shop from the locker room/lounge area I felt like Marty McFly hitting 88 mph in his Delorean as I swear I had travelled back in time. Exposed timbers and a saloon like setting were complemented by historic photos and decor. Even the outhouse found on the front nine felt a couple hundred years old with exposed stone and mortar characterizing the modest and quirky interior; in fact, I was wondering if I would need to wash my hands by drawing water from a bucket located deep in a well. On the course, players are joined by a caddie that will carry your bag throughout the round for a modest $45 (includes tip); a welcome policy compared to other courses hitting players for $100+ per round for a caddie's services. 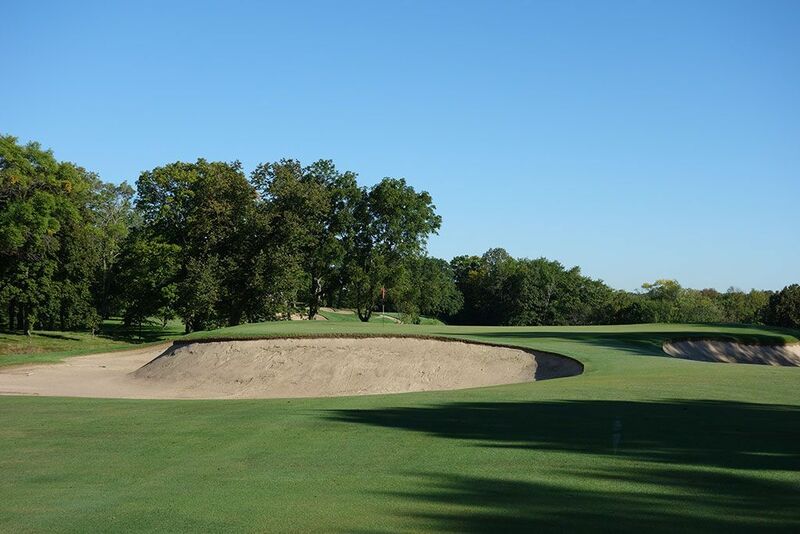 The bunkering is simple, clean, and effective while the greens utilize sloping rather than undulations to put some teeth into the short game. 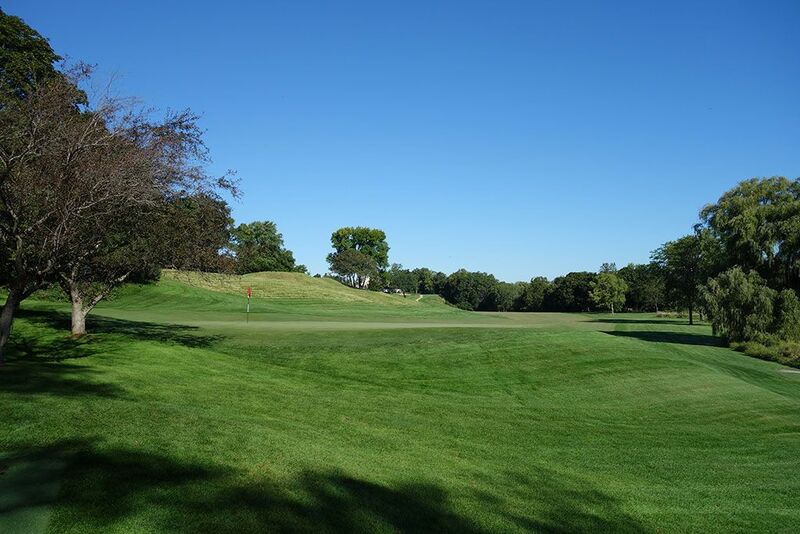 The modest terrain found at the course creates an easy walk which is the best way to enjoy the course, especially given how immaculate the conditioning is. A river comes into play during the early holes in the back nine and adds to the entire outdoor experience at MCC. Lastly, the five hole stretch of 8-12 is one of the finest I've ever encountered and puts on full display the brilliance of Alison and Colt; just thinking about it makes me wish I could transport back to the course and play it again. 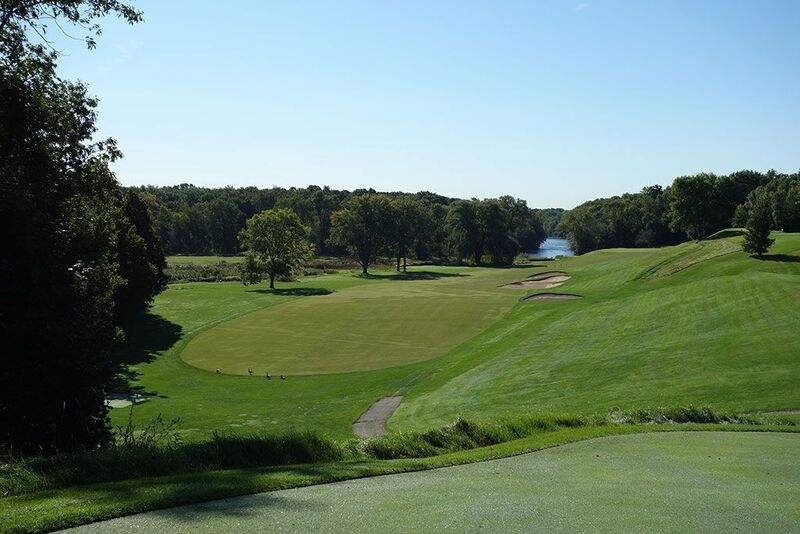 Signature Hole: 12th Hole – 190 Yard Par 3 – This scenic one-shotter plays over the Milwaukee River to a circular green protected in front by a trio of bunkers. The back pin is ideal from a scoring perspective as there is plenty of room to miss long and the trouble fronting the green is effectively taken out of play. 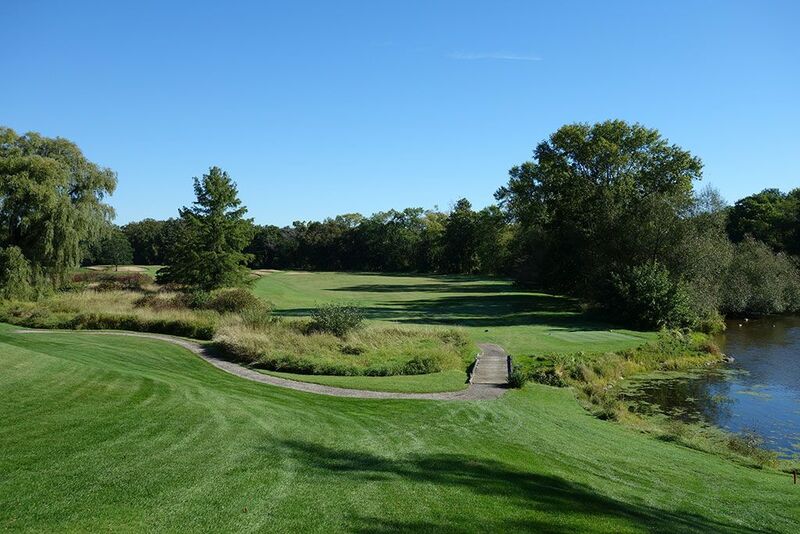 During the late summer and fall, the prevailing wind will be to your back with this hole playing straight north. 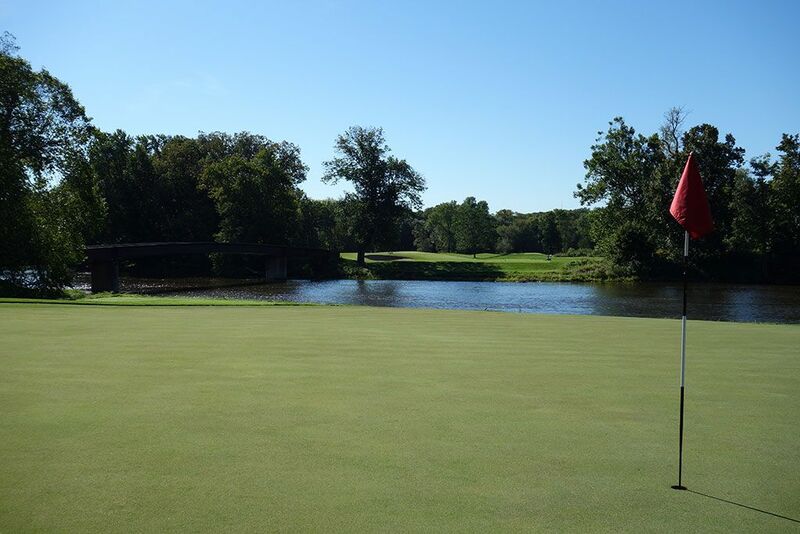 The walk across the bridge over the Milwaukee River is one of the most enjoyable strolls on the course. Best Par 3: 8th Hole – 174 Yards – The first of several consecutive tee shots that are visually stimulating, the 8th features a classic plateau green surrounded by deep bunkers. You don't realize just how much rise exists between the tee and the putting surface until you gather just how deep the bunkering is that creates a virtual island around most of the green. The green is larger than it appears with much of the surface being blind due to the rise in elevation, so trust your yardage and swing away. 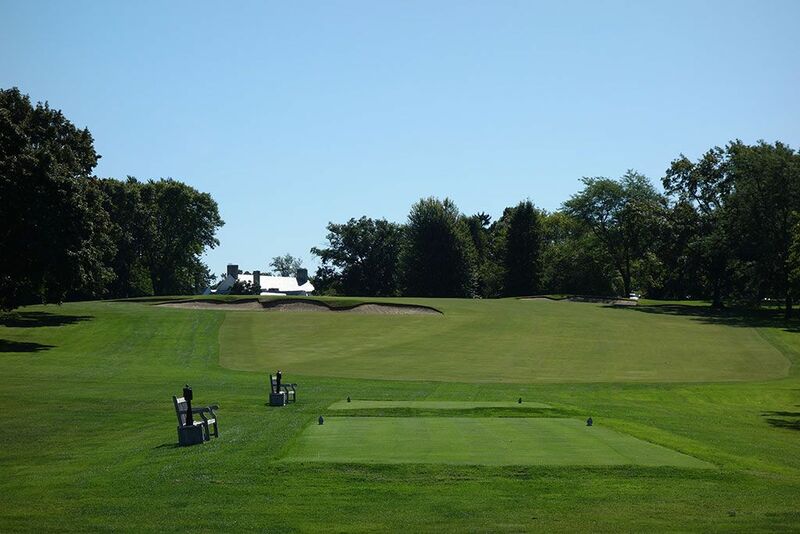 Best Par 4: 18th Hole – 441 Yards – One of the finest and most demanding closing holes in the Midwest if found at Milwaukee Country Club. Players are faced with their only significantly uphill tee shot of the day with little idea of what to expect when cresting the ridge. 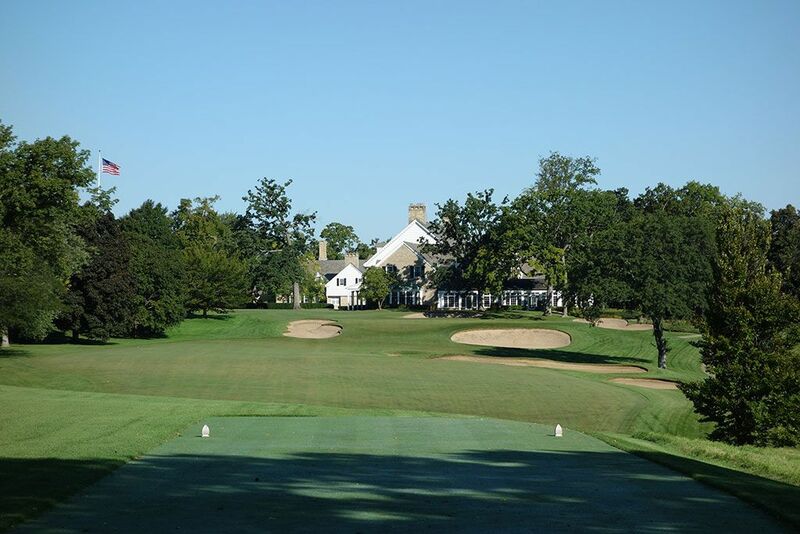 Upon reaching the top of the hill, which is the highest point on the course and the former site of the clubhouse, players are afforded a downhill shot to the course's most undulated green with the impressive clubhouse acting as the backdrop. 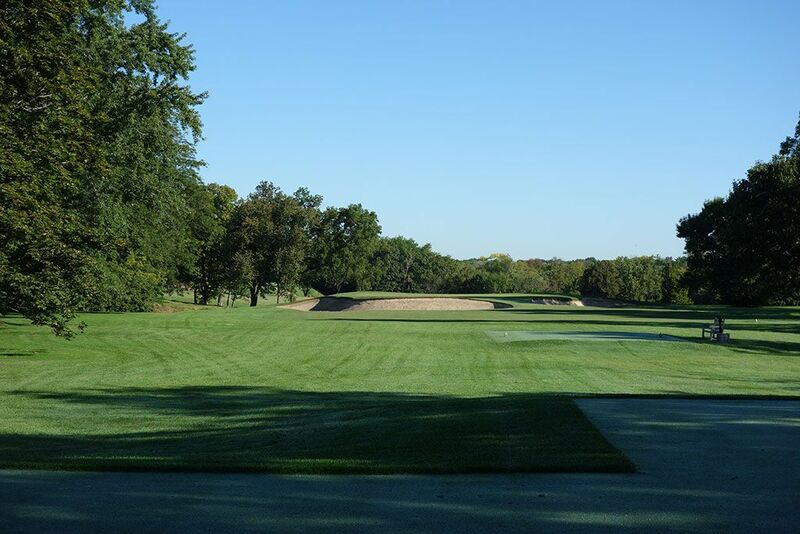 Length, accuracy, and finesse are all tested on MCC's closing hole and what more could you ask for than that? 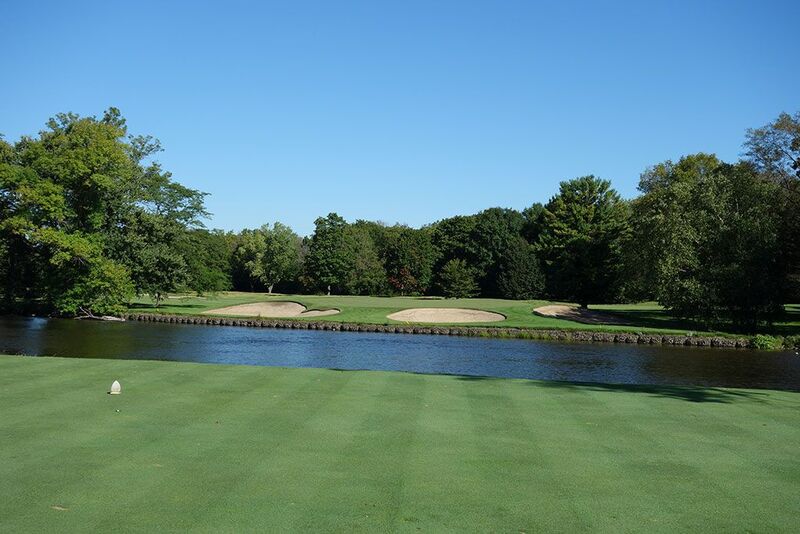 Best Par 5: 10th Hole – 484 Yards – The opening hole on the back nine is Milwaukee Country Club's most dramatic with an inspiring downhill tee shot that plays out towards the Milwaukee River. The hole runs alongside a steep ridge that separates the 9th from the 10th hole and must be climbed up again when attacking the hillside green. 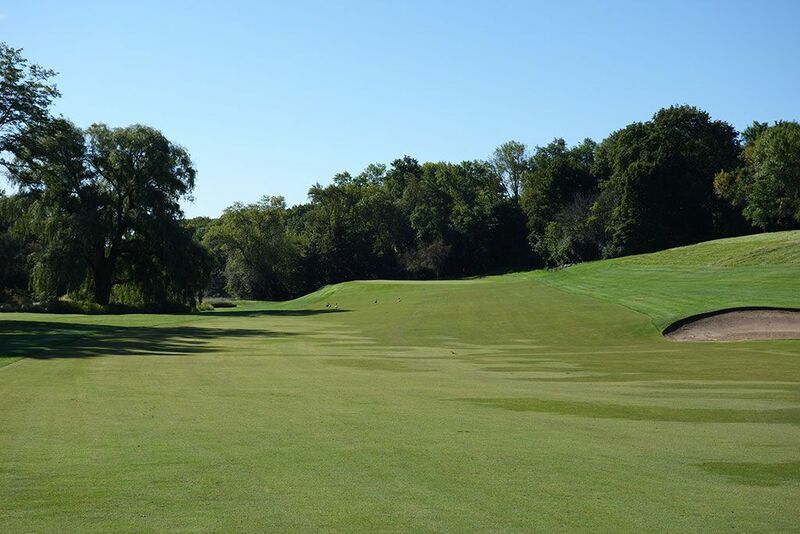 The green features a severe right-to-left slope which makes this short par five no pushover even when reaching the green in two. as my three-putt par can attest. Pin placements on the left third of the green are protected by a steep, grassy slope and can quickly humble players that aren't fine tuned with their short game. This is simply a great hole and one of the finest short par fives in the country. Birdie Time: 9th Hole – 325 Yard Par 4 – This short par four sits in the middle of one of the finest five hole stretches of golf I've ever come across (8-12). 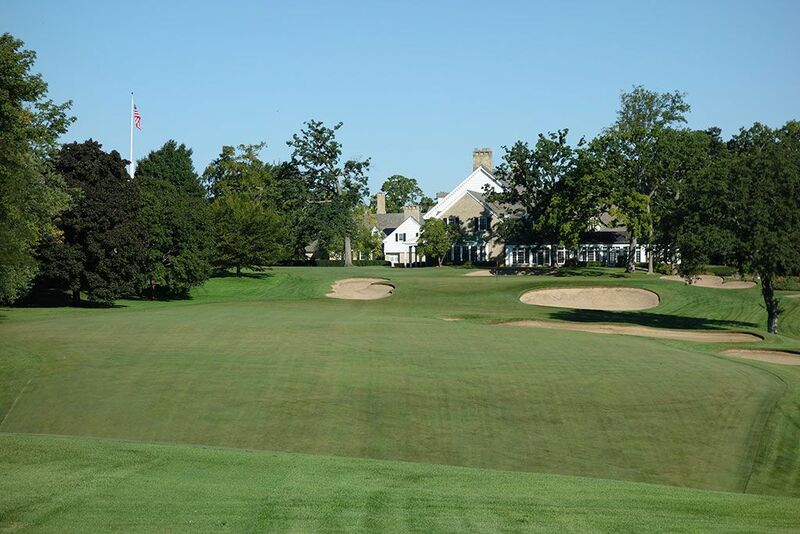 Playing directly towards the southern wing of the sprawling clubhouse, the 9th hole enjoys natural rolling terrain and a left-to-right tilt in the fairway. The yardage may seem tame, but the approach to the green isn't. 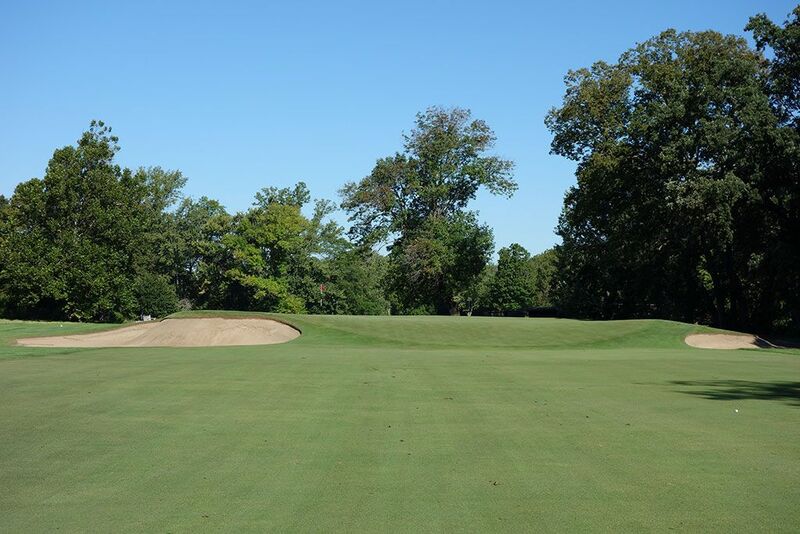 Four bunkers surround the putting surface and a false front lies in wait to send shots 25 yards back down the fairway that don't approach with sufficient length and velocity. If you get a back left pin then thank your lucky stars as that is the most generous and approachable portion of the green which will likely also leave you an uphill putt and a great chance for birdie. 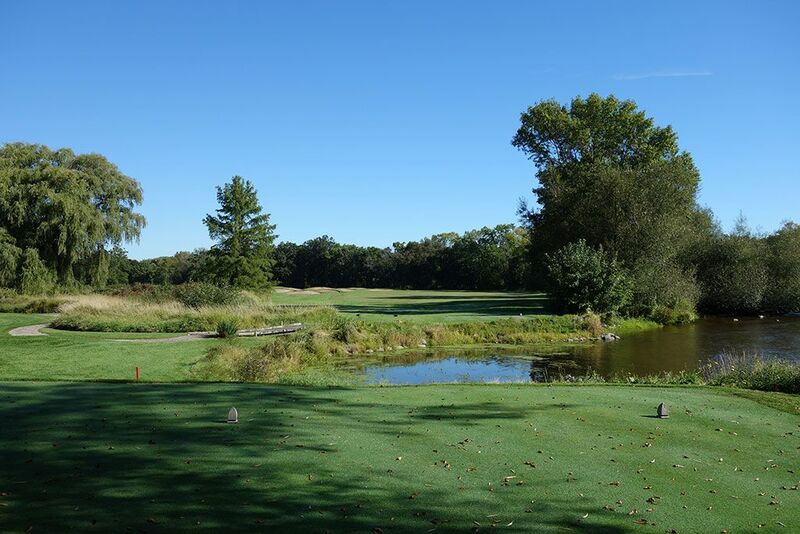 Bogey Beware: 11th Hole – 375 Yard Par 4 – How does a 375 yard hole gain the distinction of the Bogey Beware hole? By having the nastiest green and approach shot on the course. 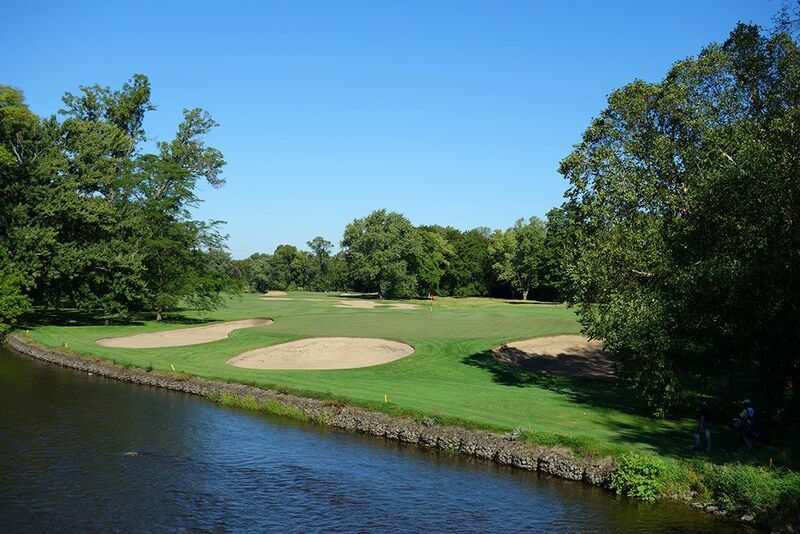 Players may elect, as I did, to bomb their drive over the bunkers protecting the inside of the dogleg left fairway that follows the bend in the Milwaukee River. If successful, players are left with less than 100 yards into a green that features a plateau rear and a brutal false front. Any approach shot that doesn't carry to the back portion of the green will be rejected and sent back to the divot landen chipping area short of the putting surface. Think long is ok? Not hardly! Hitting a chip that holds the back of the green without catching the slope back to the fairway is a shot you'll pull off maybe 20% of the time. I experienced everything this green had to offer by leaving my approach short and then going long and unsuccessfully chipping back onto the green. My caddie had wise advice I should have taken which was to hit a 170 - 190 yard shot to the right side of the fairway and then take a full shot with a club that generates much less spin into the green. By doing this you significantly reduce the chance of the ball's spin contributing to the false front's effect on the approach shot and can hopefully navigate a par before grabbing your clubs and running.